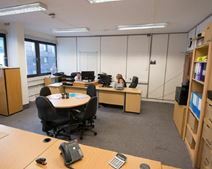 A modern business centre offering high quality, fully furnished offices with the latest in telecommunications systems. The building features an attractive central atrium, staffed reception, meeting rooms, kitchen facilities and on-site parking. Situated next to Southampton Airport and Airport Parkway rail station, with easy access to the M27 and M3. Southampton offers a range of places to eat and drink, as well as great shopping opportunity. With a convenient location close to Southampton airport and two major motorways, this serviced office centre is also close to a very wide range of local amenities including restaurants, a cinema and hotel. Easily accessible, this centre offers a great range of offices, as well as all the business support services you could require.